Thanksgiving, for most, means traveling to family gatherings and eating delicious food. If you’re traveling for the holiday, remember to set your home security alarm when you leave and alert your neighbors in case they notice any suspicious activity. You can even set indoor light timers so you and your family return to a welcoming, well-lit home. On the other hand, it might finally be your year to host a Thanksgiving feast. No matter whether you’re cooking grandma’s famous sweet potato casserole or trying out a new recipe from a Food Network show, you’ll want to prepare your meal with as much caution as possible. Are you new to turkey frying techniques? Do you need to brush up on your chopping skills? Read our tips below to pull off a safe, tasty Thanksgiving dinner for all. 1. 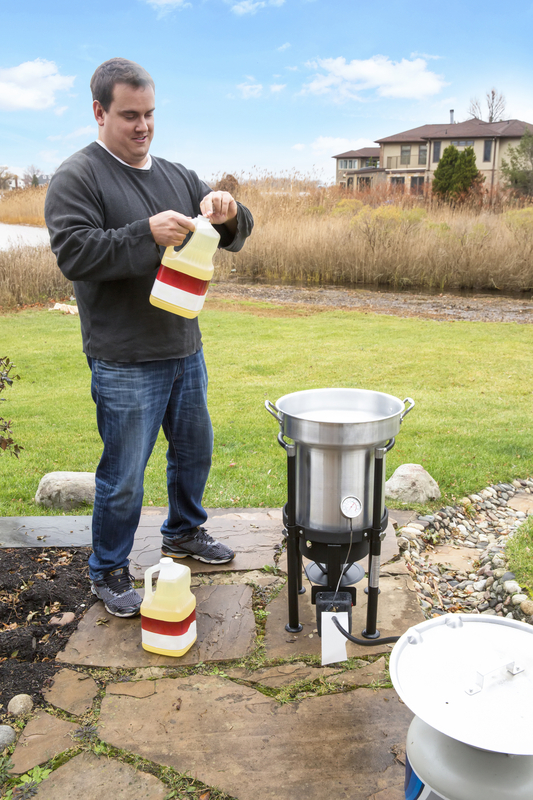 Prepare the turkey fryer. Place your clean, thawed turkey in the fryer, but don’t turn it on. Fill the pot with water until the turkey is completely immersed. Then, add another inch or two of water. Remove the turkey, mark the water level and remove the liquid. Dry the pot – completely – and add oil until you reach the correct liquid level. Turn on the fryer and wait for the oil to heat to the proper temperature. 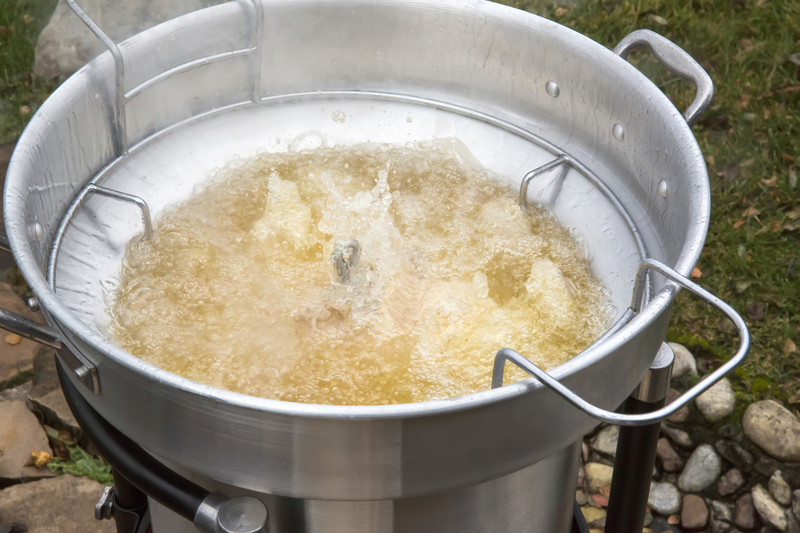 Safety tip: Establish your frying station outside before you start preparing the space. Choose a level area with dirt or grass. Despite the precautions above, the boiling oil could spill and cause a fire on a wood deck or stain a concrete driveway. 2. Thaw, season and secure turkey. Rinse and dry thawed turkey, again getting it completely dry because any moisture can cause the hot oil to spatter Season with your favorite rub or your family’s secret spice mixture. If desired, inject it with a sauce. Secure the seasoned turkey to a wire hook and hanger for an easier transfer in and out of the pot. 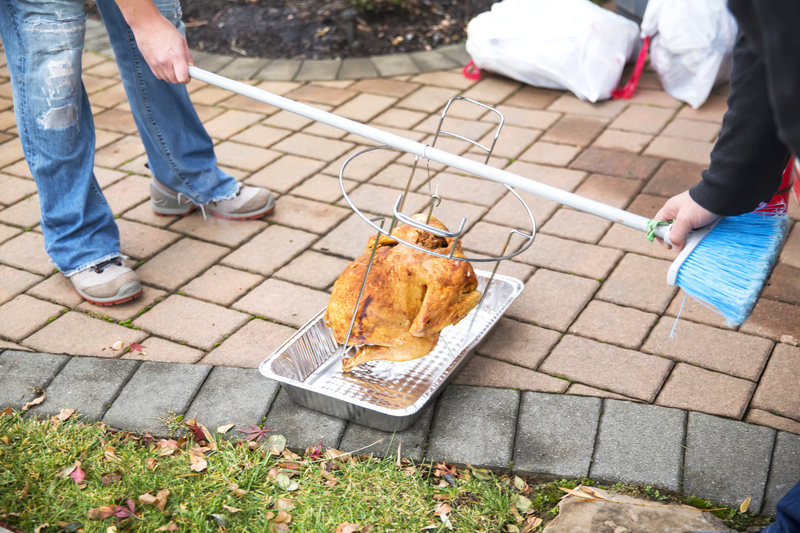 Safety tip: Check that the turkey is completely secured on the metal hanger. If not, you might drop it or splash around hot oil during a transfer. When the oil reaches 350 degrees Fahrenheit, slowly place the turkey into the fryer. Don’t let the cooking oil spill over the sides of the pot. 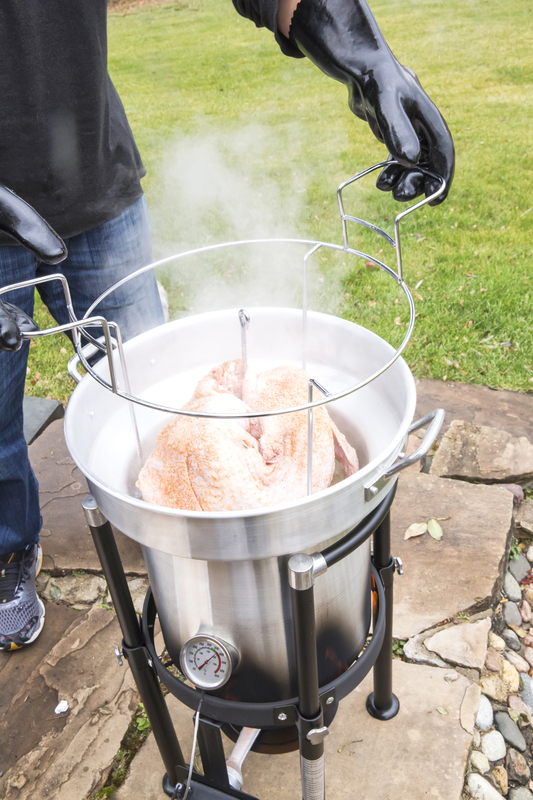 Safety tip: Use protective gloves and clothing while you’re placing the turkey into the fryer. 4. Supervise the turkey as it cooks. 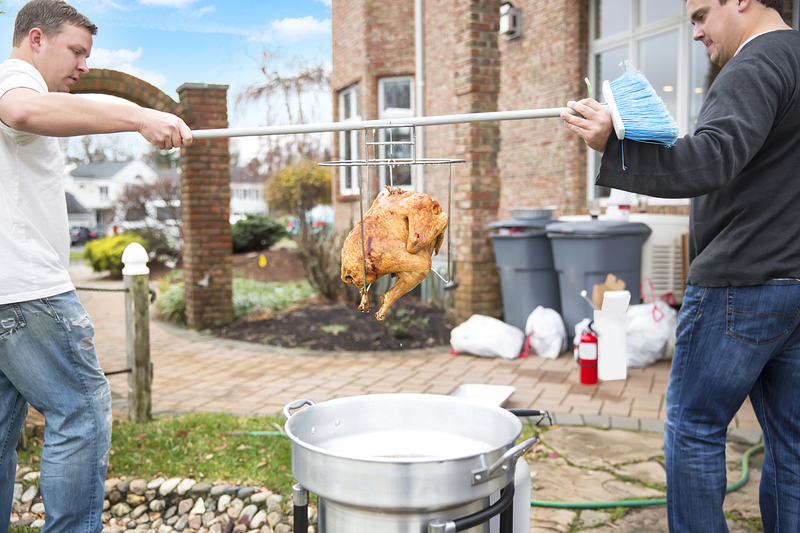 Don’t stand too close to the fryer, but don’t leave the turkey unattended. Check on its color and temperature about halfway through the frying process. Butterball suggests three to four cooking minutes per pound. 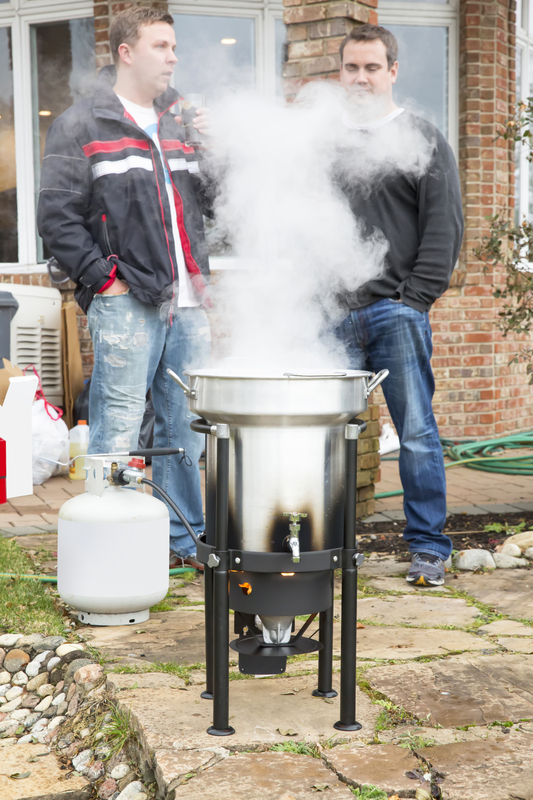 Safety tip: Keep yourself and Thanksgiving guests away from the frying station. The hot oil might spatter while the turkey cooks. Place a fire extinguisher nearby to prepare for any unexpected frying issues. 5. Remove turkey from fryer and set it down. Remove the turkey once it floats to the top of the pot and has a golden outer surface. As you take it out, allow excess oil drip back into the fryer. Gently set the bird down, grab a meat thermometer and make sure it’s done. Typically, a fully cooked turkey should have an internal temperature of about 170 degrees Fahrenheit. Safety tip: Don’t remove the turkey with your hands. Use a broomstick – and recruit a friend or family member – to help pull the bird out and set it carefully on an aluminum pan. That way, you stay a safe distance away from the boiling hot oil. 6. Dispose or store used fryer oil. 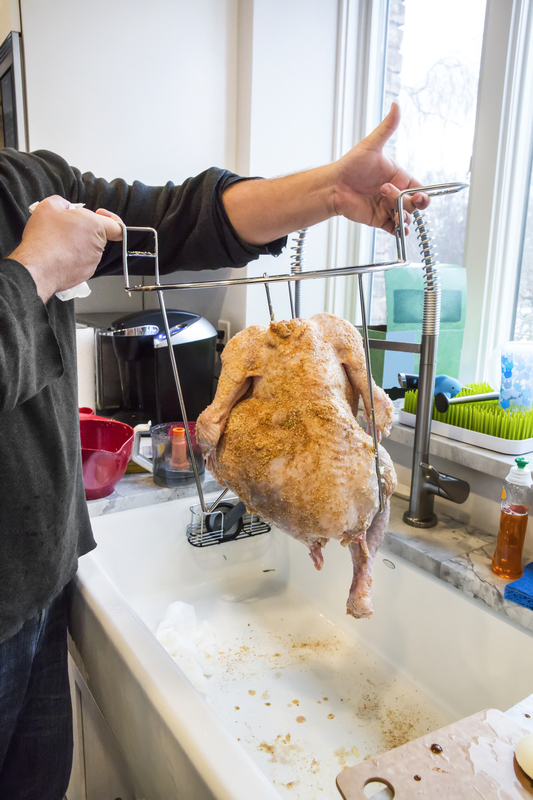 Once the turkey is removed and the fryer oil cools down, decide whether you want to dispose of the oil or clean and store it for another use. If you’re planning to toss it, check whether your community has a cooking oil recycling program in place. If you’re storing the oil, strain out any turkey debris and pour the oil back into its original container. Oil can be used up to four times if it’s cleaned and stored properly after each use. Safety tip: To avoid getting burned, don’t handle the oil until it’s fully cooled. Also, don’t pour oil down the drain, as it may cause damage to pipes in your home. Once the turkey rests for at least 30 minutes, begin the carving process. Start by removing the turkey’s drumsticks, and then move on to slicing the breasts and removing the wings. Remember to save the wishbone to break later in the evening! Safety tip: Don’t let the turkey slide around while you’re carving different sections. You might slip and accidentally cut yourself! 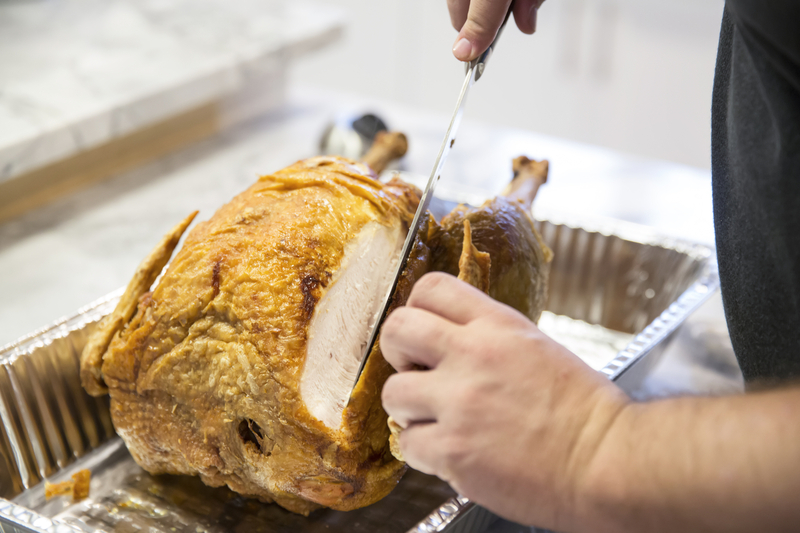 In addition to a knife, use a carving fork to better secure the turkey and guide your cutting. The following five safety tips are much more basic than those for frying a turkey but are still important to ensuring an accident-free Thanksgiving in your home. Test your home’s smoke alarms before preparing and cooking Thanksgiving dinner. Set timers to check on different dishes that are cooking at the same time. Turn off the stove and oven as soon as you’re finished cooking. Use oven mitts and pot holders to pick up and set down hot dishes. Keep knives out of reach from children.